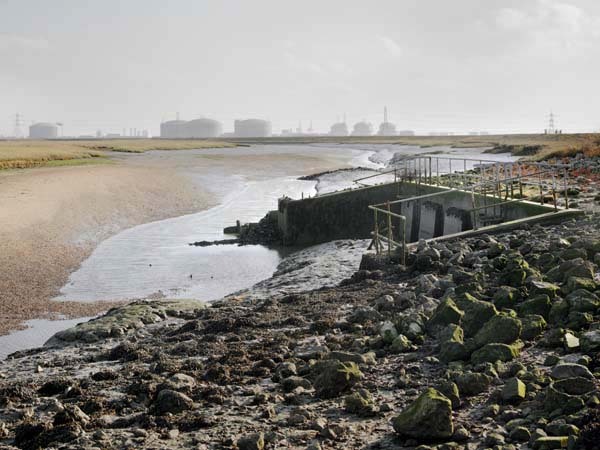 Tomorrow is the opening at Foto8 of Mike Seaborne’s show London: Landscapes in Transition and it is one I wouldn’t miss, presenting two of his long-term projects, Thames Estuary and Facades. I got to know Mike when he set up a group ‘London Documentary Photographers’ which met at the Museum of London where he worked for many years curating photography around 1989. In his time at the museum he organised a number of fine shows of photography, including one by that group on transport in London and two others I was involved in, Photographers’ London: 1839-1994 and London Street Photography. The latter broke attendance records for exhibitions at the Museum, and coincided with his early retirement from the museum. 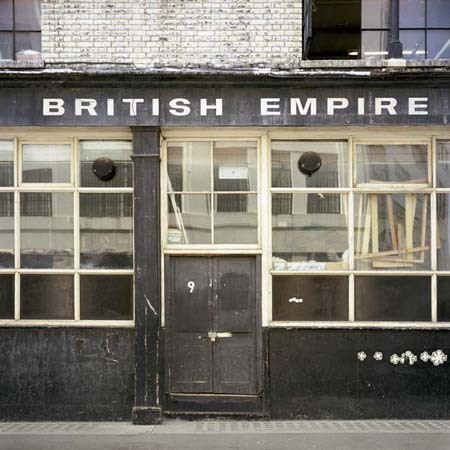 Photographers’ London, one of a number of Mike’s books, remains as the finest work on the subject. Ten years ago, Mike and I set up a web site, Urban Landscapes, which is still going, with the occasional addition of new photographers to the site. We put Mike’s Facades on the site in 2006 and you can see five of his other projects there. 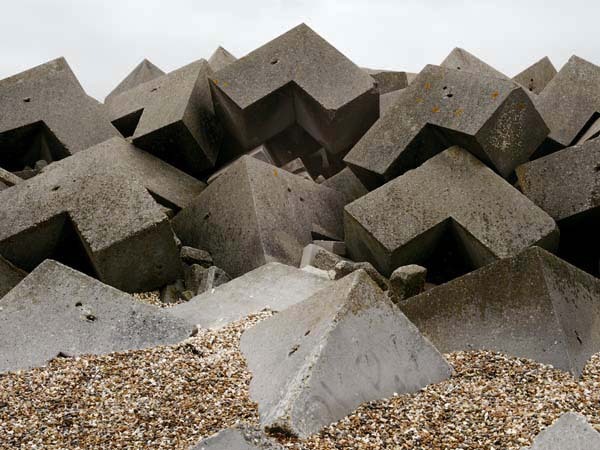 Mike and I have always had a number of interests in common, and one of those is the fascination with the Thames estuary, where I photographed extensively from the 1980s until a few years ago. Most of the places that he has photographed in the show I’ve also photographed, and you can find some of my pictures on My London Diary as well as my own Thames Gateway projects on Urban Landscapes. So I have a particular interest in seeing another viewpoint on those same subjects, taken a few years after my own work. Mike’s approach is different to mine. He has always been a more precise and careful worker than me, using medium or large formats while I’ve been satisfied with 35mm. There is a programmatic element in his approach to the shop fronts in Facades, all taken in a similar way with the same fixed lens camera which is something I’ve avoided. It gives his work an admirable consistency. At the museum as well as in his own work, Mike made the most of the opportunity to explore the possibilities of digital printing. He was someone many of us went to for advice, although we often ended up doing things differently for various reasons (if only because we didn’t share his budget.) But I think we can confidently expect to see some of the best that photographic printing can now provide. Available from Foto8 during the show, and also from Quaritch who represent Mike is a fine 48 page catalogue of the show, designed by the photographer with over 40 of his images excellently reproduced. Like ‘In Protest‘, Mike’s London -Landscapes in Transition is one of the shows listed as ‘highlights’ of this year’s East London Photomonth International Photography Festival. This entry was posted on Monday, October 15th, 2012 at 08:02 pm and is filed under My Own Work, Photo Issues, Photographers. You can follow any responses to this entry through the RSS 2.0 feed. You can leave a response, or trackback from your own site.